One year ago today my blog was born! It was named “Mile 23”, because that was my favorite mile of the marathon that I had just ran. 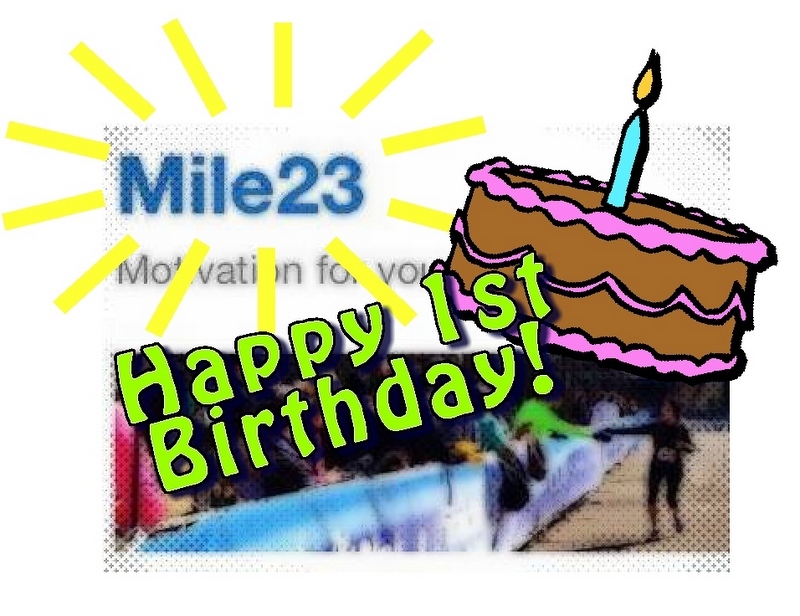 If I had started my blog today….a year and another marathon later…I would have named it “Mile 22”. During this year’s marathon, mile 22 was THE BEST! I’m running around here like a chicken with it’s head cut off(to quote my mother)….so I don’t have time to write about it today….but I WILL! It’s been a fun year! Thanks for reading everybody! Categories: running | Tags: 26.2, Alabama, birthday, Chicken, marathon, marathons, mile 22, mile 23, run, runners, running, running blog | Permalink.